Blizzard has started the month of May with a massive WoW ban wave, targeting players who have exploited battlegrounds by engaging in win trading. Some say that they started checking players for exploiting battlegrounds as far back as January, which seems to be true, since some players who have engaged in win trading in the past, but haven’t been active on their accounts for 3-4 months, got hit this month. Most players, if not all, got perma banned, and some say it’s extreme because it’s the first time when they get banned, and they were expecting a 6-month suspension. Blizzard usually gives perma bans for PVP exploitation, regardless if you’ve been banned before or not, so there’s not such a big surprise there. There are also a lot of allegations regarding false positives – players being banned without engaging in win trading. For example, some queued up against teams that didn’t join at all, so if this happens to you a couple of times, then a script could easily consider that you are win trading, and you’ll get banned. Some engage in win trading, but they do it wrong, and you can get caught up in it and get perma banned. Therefore, it’s not very hard to believe that there are a lot of false positives out there. Here’s a video of a player who talks to a GM, and claims he was wrongfully banned. The GM also confirms the ban wave. Don’t know why he added a Swifty thumbnail to the video ^^. If we’ll get some more news, we’ll update the post. If you didn’t dodge the ban, don’t forget, our WoW unban service is here to help! I was banned for win Trading and I’m a first offender, and I got a permanent ban and iv been with blizzard on this account since beta pretty much so 10+ years. Is there anything I can do to get my account back I’m willing to take the 6 month ban but permanent that account has 11 Ally 110 toons and like 5 100’s horde. Hello! Sorry for the late approval of the comment and answer. Since this is your first ban in so many years, then it’s an advantage. 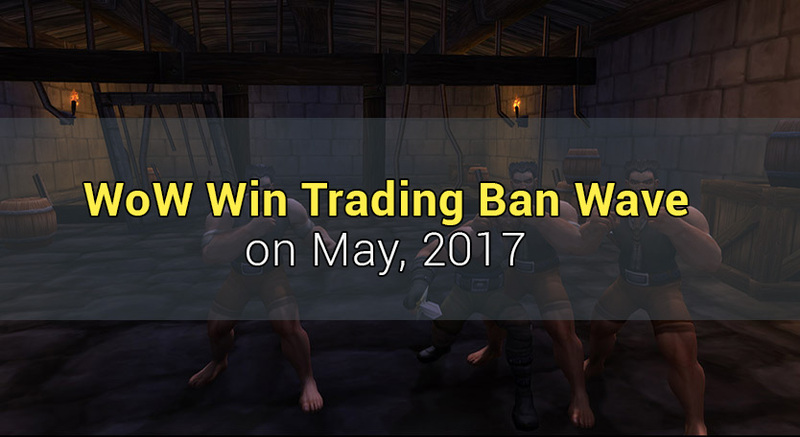 We’ve managed to overturn several win trading bans, and hopefully we can do the same in your case once you purchase our services. This happened to me Monday afternoon. I received an email stating that my account was permanently banned. I’ve been playing for 13 years now (since Beta) and don’t even enjoy PvP anymore. In Legion the only thing I really did were some RBG’s through the Group Finder and Random BG’s, both for the first Artifact Power win of the day. Sufficed to say I was immediately on the phone with Blizzard. I went through two regular agents, their Supervisor, and then HIS boss who said his title was ‘Manager of Operations’. Supposedly they reviewed the ‘proof’ twice and determined that it was somehow correct, which is utter BS. I have 800 days of play time on my Paladin and would never risk my account for something as stupid as PVP. I used to do BG’s years ago for the achievements but in this expansion it hasn’t been worth it. Now I’m banned for something I never did.